Staying alive is the number one concern of all birds. Keep that in mind as you plan your bird-friendly backyard, and your landscape will soon be brimming with birds. Feeder's are only the start, birds need more than just food to be safe, healthy, and happy in your yard. You'll also want to include as many plants as possible, to most birds, a big sweep of lawn grass is about as appealing as the Sahara, for food, cover for a quick getaway from predators, nesting sites, and cozy roosting areas. And don't forget water, another important incentive for birds to visit and return to your yard. Safe nesting places, either natural homes in trees and shrubs or bird boxes supplied by you, will boost the population. Supplying nesting materials, grit, and salt are also welcome mats for birds looking for a place to settle down. 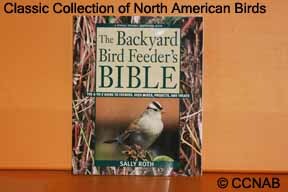 Provide all this, and discourage predators, too, and your efforts toward encouraging a bird population in your yard will pay off.